Following is a list of all the people sent to death row for McLennan County crimes since the Texas Penal Code allowed assessment of the death penalty in 1973. A U.S. Supreme Court decision in 1972 declared the death penalty “cruel and unusual punishment” and in Texas, 52 men had their death sentences commuted to life in prison. 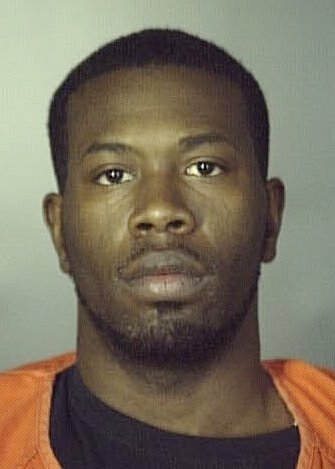 Rickey Donnell Cummings was the first defendant to receive a death sentence for the 2011 ambush-style slayings of Tyus Sneed, 17, and Keenan Hubert, 20, at an East Waco apartment complex. The shootings at Lakewood Villas, where two other men were injured, riddled a car and its four passengers with at least 30 bullets. 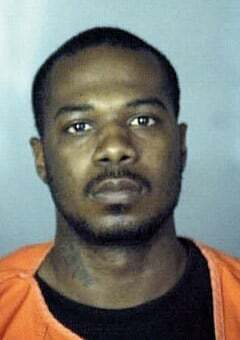 At a packed trial at the McLennan County Courthouse in late 2012, which included allegations of witness tampering, Cummings was said to be affiliated with the Bloods street gang. At sentencing, Hubert's father had an anger-laced message for Cummings, whom he called a coward in his courtroom statement. “I hope they kill you over and over and over,” he said. Cummings' younger brother, D'Arvis Tyrell Cummings, was also originally charged with capital murder in the incident, but pleaded guilty in September 2014 to a lesser included charge of murder and received a 20-year sentence. Ramiro Rubi Ibarra has been on death row since 1997. The Mexican citizen was convicted in the 1987 sexual assault and murder of a 16-year-old family acquaintance, Maria De La Paz Zuniga. Zuniga was babysitting two nephews at her family’s home in Waco when Ibarra attacked her. Ibarra beat, raped and then strangled Zuniga with an electrical cord. Ibarra’s claims that he is mentally retarded and ineligible for execution and that he was denied legal assistance from the Mexican consulate after his arrest have been denied by state and federal appeals courts. Albert Leslie Love was the second man sentenced to death for the shootings at the Lakewood Villas apartment complex in East Waco in 2011 that killed two men. In a 2013 trial that was moved to Georgetown, prosecutors told the jury that Love and Rickey Cummings, both Bloods gang members, wanted to kill victim Keenan Hubert, 20, because they believed he killed their best friend, Emuel “Man Man” Bowers III, at Hood Street Park the year before. Tyus Sneed, 17, also died in the attack, and two other men were injured but survived. In December 2016, the Texas Court of Criminal Appeals overturned his capital murder conviction and death sentence, ruling that Love deserves a new trial because his Fourth Amendment rights were violated. His case remains pending in a Waco district court. Billie Wayne Coble twice has been sent to death row by McLennan County juries for the 1989 shooting death of his estranged wife’s brother, Waco police Sgt. Bobby Vicha, and her parents, Robert and Zelda Vicha, in Axtell. Coble was upset about the breakup of his third marriage and ambushed and shot to death the Vichas before kidnapping and assaulting his wife, Karen Vicha. Coble went to death row in 1990 and remained there until the 5th Circuit Court of Appeals in New Orleans set aside his death sentence in 2007 but kept his conviction intact. A second jury in 2008 also found that Coble should be put to death. Coble was executed on Feb. 28, 2019. Carroll Joe Parr, the former Waco drug dealer known as “Outlaw,” was sentenced to death row in 2004. Parr was convicted in the 2003 shooting death of Joel Dominguez during a 7-pound marijuana buy on North 25th Street. At his execution in May 2013, he continued to maintain his innocence. Carl Eugene Kelly was 22 when he went to death row in the 1980 robbery, abduction and slaying of store clerk Steven Pryor and Pryor’s acquaintance, David Riley. David Wayne Spence was 26 when he went to death row for his role in the grisly killing of three teenagers in July 1982 that became known as the Lake Waco murders. Two girls, both 17, were sexually assaulted and tortured before suffering multiple stab wounds. Their 18-year-old male friend also was stabbed. Their bodies were found in Speegleville Park. Brothers Gilbert and Anthony Melendez confessed to roles in the crime and got life prison terms. Both recanted their confessions. Gilbert Melendez died in prison and Anthony Melendez, who still is in prison, is asking for DNA testing to prove his claim of innocence. Spence was executed in 1997. He denied his involvement in the crimes to the end. Clifton Eugene Belyeu, a paroled robber with a seventh-grade education, was 28 when he went to death row for the December 1985 murder of Melodie Bolton during a home-invasion robbery at her home in West. Kenneth Allen McDuff was 46 when he went to death row for the 1992 robbery and abduction of Waco convenience store clerk Melissa Ann Northrup. He was tried in Houston on a change of venue. McDuff strangled Northrup with a rope and threw her body in a gravel pit near Dallas. He dodged execution in 1972 when his death sentence for killing three teenagers in Fort Worth in 1965 was commuted to life. Clydell Coleman, a burglar who did five stints in prison, was 53 when he went to death row for the 1989 robbery and murder of 87-year-old Leteisha Joe at her home in East Waco. Coleman, a neighbor and longtime acquaintance of Joe’s, and accomplice Yolanda Phillips entered the back door of Joe’s home, threw a blanket over her head and hit her with a hammer. Coleman then strangled Joe with her own stocking after ripping it from her leg. Phillips, who testified against Coleman, got 30 years in prison. Coleman was executed in 1999, declining to make a final statement. John Albert Burks, a cement worker who had been to prison twice for burglaries, was 33 when he went to death row for the 1989 murder of Jesse Contreras during a robbery at Jesse’s Tortilla Factory. Gerald Wayne Tigner was 21 when he went to death row for the 1993 shooting deaths of James Williams and Michael Watkins during a drug deal on North 10th Street. Tigner was executed in 2002. In his last statement, he claimed he was wrongfully convicted and expressed love for his family and friends. “I am being real with the real. That’s all that counts in my heart,” he said. Michael Dewayne Johnson was 18 when he and fellow Balch Springs native David Noel Vest, 17, pulled into Jeff Wetterman’s family store in Lorena in September 1995. The pair planned to steal gas to fill up the stolen Cadillac they were driving to the Texas coast. Wetterman came out to assist them and Johnson shot him over the price of a tank of gasoline. Vest testified that Johnson shot Wetterman. He served eight years in prison. Muneer Deeb was said to be the mastermind of the botched murder-for-hire plot that became known as the Lake Waco murders. He was convicted in 1985 in Johnson County on a change of venue from Waco and sent to death row. His conviction was overturned and he was acquitted on retrial in Fort Worth in 1993. Prosecutors said Deeb hired David Wayne Spence to kill a teenaged employee at Deeb’s store so Deeb could collect life insurance he held on her. Spence mistook another teenager for the employee, prosecutors said. Deeb died from cancer in Dallas six years after his release. LaQuan Cameron Miles was sent to death row for the 1991 kidnapping, robbery and murders of Oscar Rose and Jackie Mayberry. Miles’ case was reversed four years later and he pleaded guilty to murder in exchange for a 35-year prison term. Miles also is serving a 50-year sentence for robbery in Harris County.